Smart watches are touted as next generation wearable device as they gradually eat into the market share of their indigenous counterparts. With rapid advances in technology and nonstop innovations, smartwatches pose significant threat to personal devices and watches industries. Furthermore, with the advent of 3G and 4G enabled smartwatches, which are available in varying watch faces, has stoked their salability. Furthermore, breakthroughs in artificial intelligence, meaning learning, and voice communication will stoke the demand for smartwatch in the coming years. According to the report, the global smartwatch market is likely to exhibit strong growth between 2017 and 2025. As per recent studies, growth witnessed across developed countries will remain robust through the course of the forecast period. Besides this, emerging nations will show lucrative prospects as well, steering growth in the global smartwatch market. In Asia Pacific especially the market will gain from the increased production of smart gadgets. 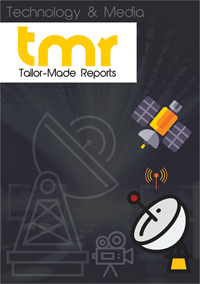 As per surveys conducted over the last few years, China is fast emerging as a popular hub for the latest technologies. Furthermore, its evolution as a low-cost smartwatch producing nation will pave way for the smartwatch market’s growth in the coming years. The demand for wearable devices is also expected to rise in the healthcare industry. As per the report, the rising demand for wireless health monitoring to facilitate remote patient monitoring will augur well for the market. In addition to this, the market is forecast to gain significantly from the rising integration of haptics technology. Besides this, several other innovations are on cards, which are likely to fuel the demand for smartwatches in the coming years. The rising adoption of smartphones across the globe and the rising use of internet are expected to contribute substantially towards the development of the global smartwatch market in the coming years. As a result, the market is projected to register a progressive growth rate over the forecast period. The leading players in the global market are focusing on innovations and the expansion of their presence across the globe are anticipated to offer potential growth opportunities in the near future. The emergence of affordable smartwatches for price-sensitive nations worldwide is the key factor predicted to augment global smartwatch market in the next few years. The rising emphasis on improvements related to design and appearance of the product is likely to accelerate the market’s growth in the near future. Furthermore, the key players on marketing activities and advertising campaigns in order to attract a huge volume of consumers are expected to supplement the overall growth of the global smartwatch market in the forecast period. A vigorous increase in the smartphone and internet penetration and the changing preference of technologically, especially among the young population are the key factors that are projected to encourage the growth of the global smartwatch market in the next few years. In addition, a significant fall in the prices of products for price-sensitive economies is another major factor is likely to accelerate the development of the overall market in the near future. On the flip side, several limitations related to the battery life of smartwatches and the size of power source are predicted to hamper the growth of the global smartwatch market in the forecast period. In addition, the lack of a fully-developed application system is likely to curtail the market’s growth in the next few years. Nevertheless, the rising focus on the expansion of the product portfolio is estimated to segment global market in the near future. Among the regional segments, the North America market for smartwatches is expected to witness progressive growth throughout the forecast period. The rising adoption of high-end smartwatches, thanks to the presence of a large number of tech-savvy population is expected to fuel the growth of this region in the next few years. In addition, the rising awareness among consumers regarding a healthy lifestyle is likely to augment the market’s growth in the near future. Furthermore, the rising disposable income of consumers and the rising popularity of smartwatches are estimated to bolster Asia Pacific market in the next few years. A wide range of products available in the market and a tremendously rising use of smartphones are projected to contribute extensively towards the development of the smartwatch market in several emerging nations in Asia Pacific in the coming years. The global smartwatch market is expected to witness a high level of competition throughout the forecast period. The increasing number of players that are likely to enter the global market is predicted to encourage new product development in the coming years. The leading players operating in the smartwatch market are emphasizing on innovations, which is likely to accelerate the growth of the global market and generate promising growth opportunities for the players. Some of the key players operating in the smartwatch market across the globe are Martian Watches, Qualcomm Incorporated, Nike Inc., Pebble Technology Corporation, Fitbit Inc., Garmin Ltd., Sony Electronics Inc., ConnecteDevice Ltd., Samsung Electronics Co. Ltd., and Apple Inc. The rising number of mergers and acquisitions is anticipated to accelerate the growth of the global smartwatch market in the forecast period.